The out-sole of the Swedish M/90 boots, with all its undoubted advantages, still requires more attention and care than the earlier models out-sole made of thick and hard vulcanized rubber. 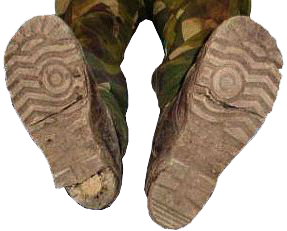 If to over-dry the boots near the home radiator or, for example, to expose the feet in M/90 boots close to camp-fire, the sole shall certainly degrade, disintegrate its structure and crumble. The result of such situation is clearly shown in the photo below. 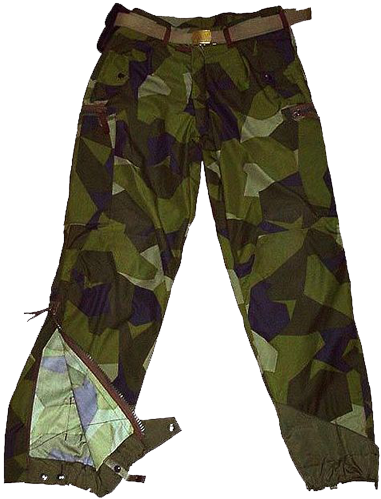 The peculiarity of wearing the Swedish M/90 uniform is that the pants are not to be tucked into the army boots, but are to be worn over them. With this purpose, the design of the pants provides zipper on the outer sides of the pants. 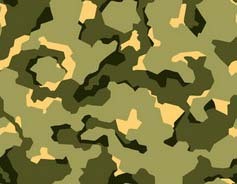 In the most recent versions of M/90 uniform, the pants feature additional patches of water-proof and easy-to clean fabric of green-grey color. On the front lower parts of the Swedish army pants feature special button-tabs for fastening the pants legs to the lacing. The side zippers are also protected from water and mud by special water-resistant flaps on the buttons. 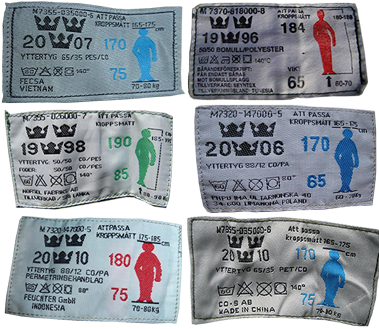 Swedish model M01 army boots ("Sommarkänga 01") for dry and hot weather were introduced in the year 2001. The Swedes themselves, with all their inherent Nordic humor, use to call them "Peter Pan Boots" ("Peter Pan Kangan") or just "Kermit". Most likely, the reason for this nickname was the boot's appearance: they are made of green suede, while the out-soles are black. Indeed, some people annoying green boots, but it's a matter of personal sympathies or antipathies. In Norway, for example, the suede summer boots are of sand color. 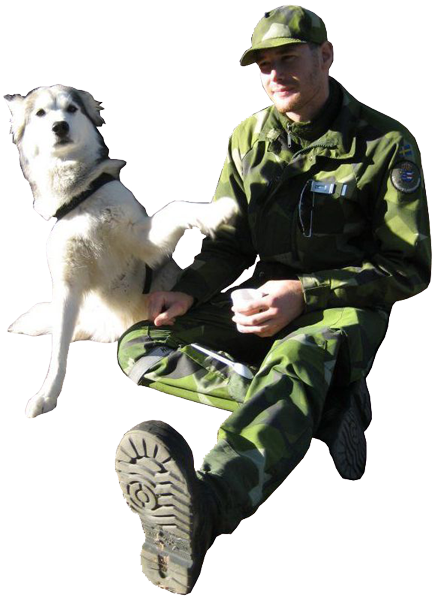 According to the Swedish military sources, the "Sommarkänga 01" boots are just the modified version of the Swedish model M/93 navy boots ("Forsvarsmaktens Sjostridskanga 93"), which are made of black, smooth and more dense leather, with steel protective toe-cap. 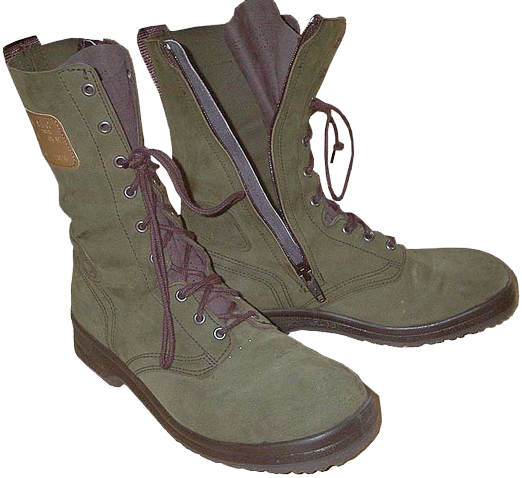 M/93 navy boots are to be worn as a part of naval uniform form, introduced in 1993. 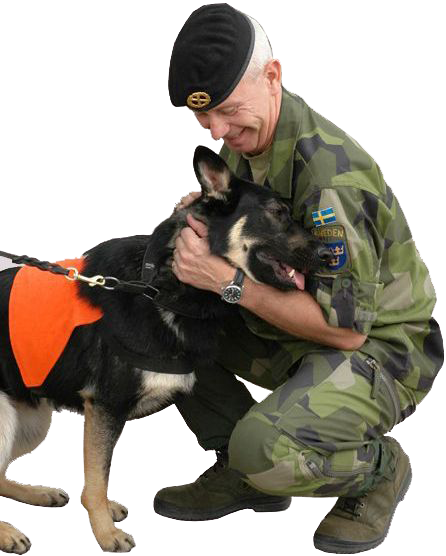 Wearing of this uniform and the appropriate footwear are defined by the Swedish Naval Regulation "Rattkladd 93" (shortly RÄK 93).